When this sweet pup named Neguinho went missing recently, his family could never have guessed what a desperate predicament he’d gotten himself into. Neguinho lives in Vale do Itajaí, a region of south Brazil. 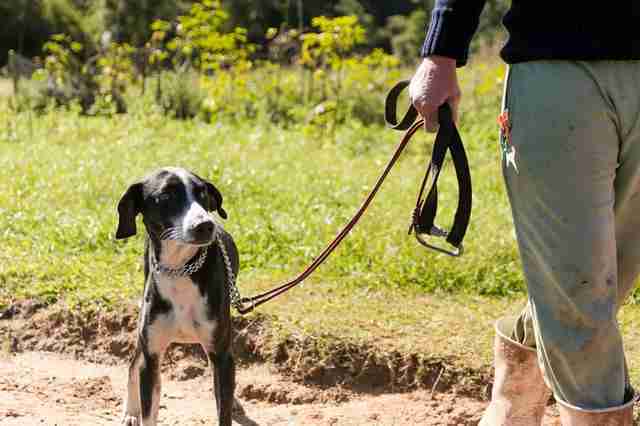 Early last week, the dog's owners were devastated when he failed to come home, and even after days of searching, they turned up no sight of him. It seemed as though Neguinho had vanished — but he'd actually ended up in perhaps the hardest place to reach along the rocky landscape. 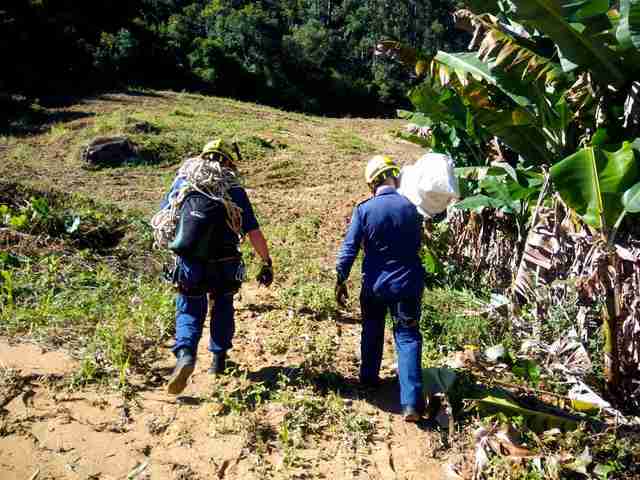 With nowhere else to turn, Neguinho's family enlisted the help of rescuers from their local fire department, the Corpo de Bombeiros Militar de Ituporanga. 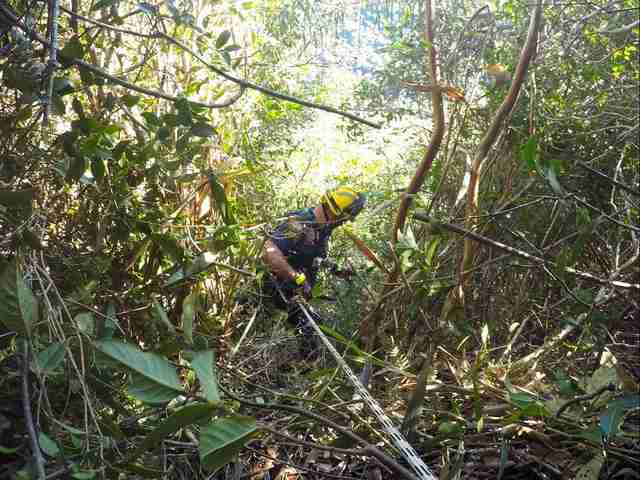 Even with their expertise at navigating the rugged terrain, the firefighters couldn't find Neguinho after their first day of searching. But they didn't stop trying. 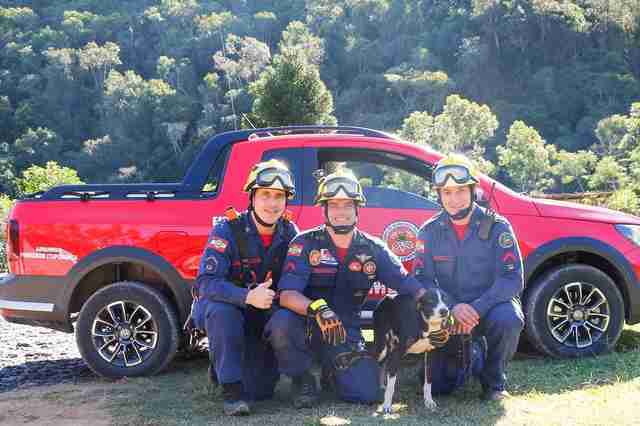 On Monday morning, on their second day of searching for the dog, the firefighters finally found Neguinho. The dog had somehow fallen down down a steep, stony cliff — and ended up precariously perched within a small crack in its face about 150 feet from the edge. As incredible as it was that Neguinho hadn't perished in the fall, he'd also managed to survive six long days without food or water. So, now that he'd been located, time was of the essence if they were to bring the dog to safety. 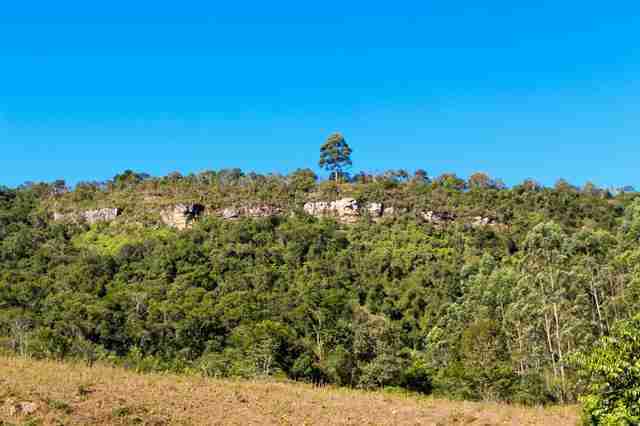 Risking their own safety, one of the rescuers descended down the cliff to retrieve Neguinho. This dramatic video shows the moment the weak and frightened dog's life was saved. Afterward, Neguinho was reunited with his family — exhausted and hungry, but still in good health considering the circumstances he'd been stuck in. Here's the grateful dog posing for a photo with the people who saved him. Expending the time and resources on saving Neguinho might seem wasteful to some — but not for the dog's family, and certainly not for the rescuers whose efforts ultimately brought him home. "The location was difficult to access," the fire department wrote online. "But in the end it was only joy. Another mission successfully completed!"